Good Dinosour Hunter is compact action game where the players need to aim a variety of dinosaurs while exploring huge non-linear locations. 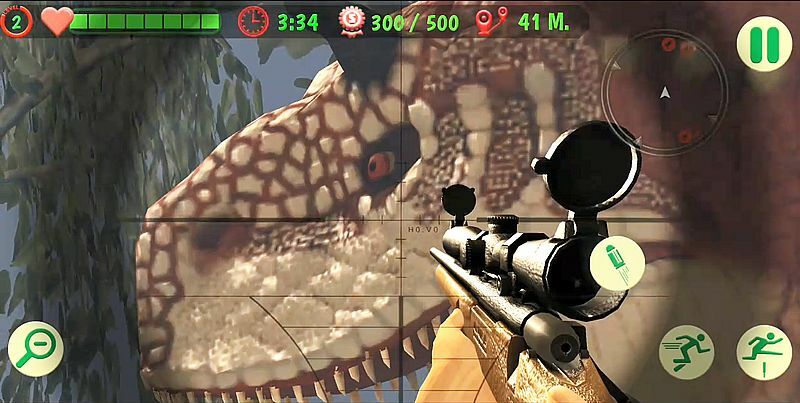 Aim and shoot the dinos which are coming towards you. 10 levels game where you need to make sure you complete your task in each level without loosing life otherwise you have to start over once more. 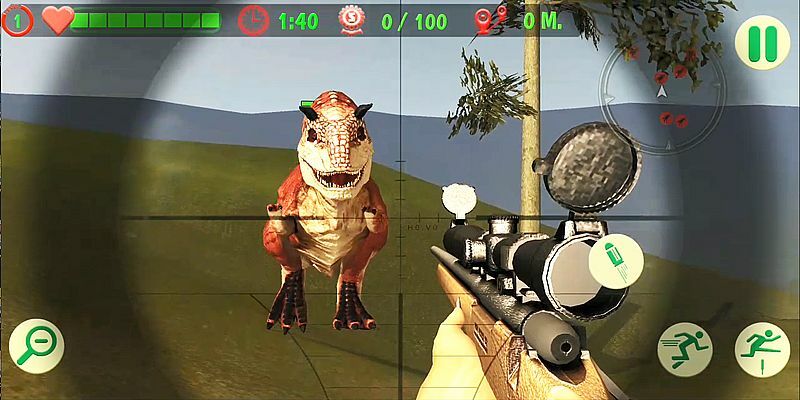 Distinct 3D environments including forests, muddy marshes and rolling hills give room for different hunting tactics in this Good Dinosour Hunter shooting game, which are important because the hunter may easily end up becoming a prey. So get ready to enter in a world where dinosaurs rule and use your skills to beat your time, advance to new levels and have a blast at the same time. Play The Good Dinosaur and become a Sniper or FPS style free roam and discover many dinosaur in this epic hunter saga. 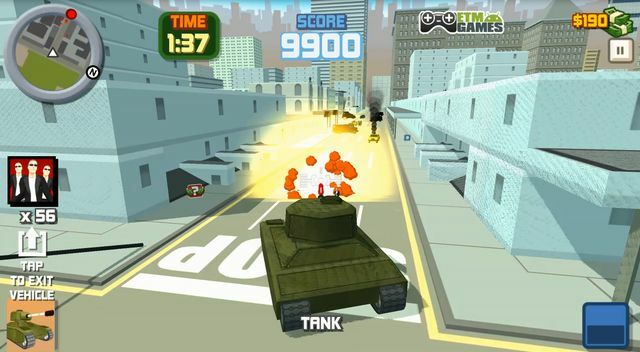 Aim, shoot, Run and Jump by adjusting the screen. * Huge 3D world, open to explore! * Console quality HD graphics. * Map and radar to locate and track dinosaurs. * Hunting accessories for smart hunting. * Left side of screen to move player, Right side of screen for aim. * Unlock each levels to enjoy more hunting with daring dinosaurs. * Adaptive play provides challenge with less frustration. Think you can keep up, well think again with the Dinosaur. Just when you thought you have the game figured out, it changes yet again. So Download and play The Good Dinosaur � and give us a 5 Star Rating if you love the game. We would really really appreciate it. 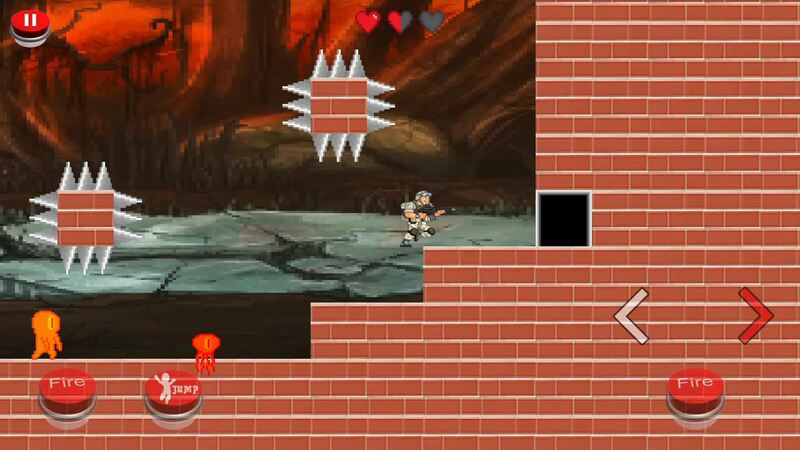 Step into the action of Robot Hell: Aliens which raises the bar for shooting games! Aim and Shoot! 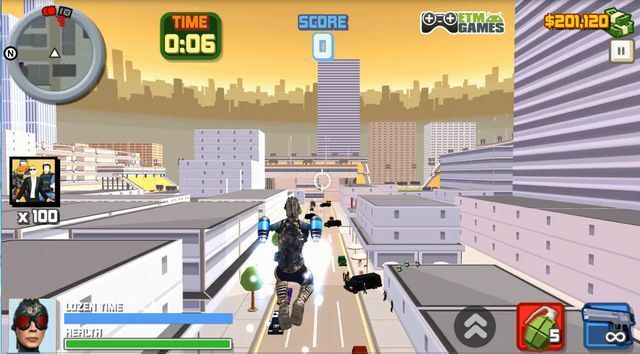 Kill and destroy enemy robots, spiders in order to save your city by and accomplish missions to become a Master. The planet is packed with Aliens. Who will save this? Who will be the rescuer? Yes, It's you. 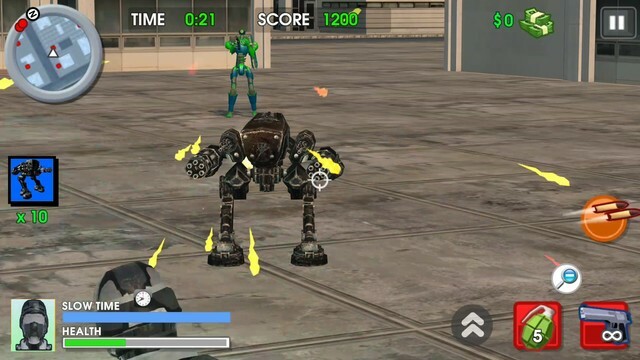 Treat own as Robot Hell and show your skills to destroy the other robots which came from other planet. 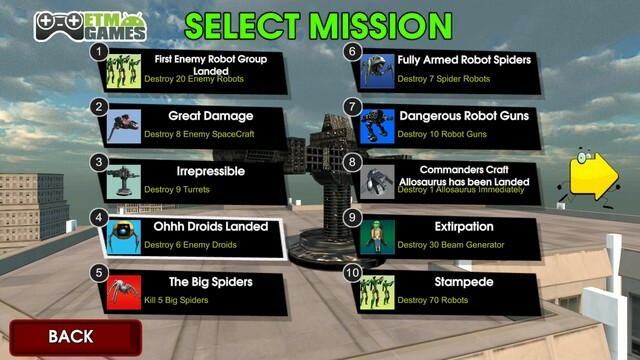 There are 15 levels to complete your mission. Grab the opportunity to become a real hero and show the world that you are the rescuer of your planet. Be focus on the game and levels so that you don�t die and able to kill all the enemies with in the time frame otherwise you will be a looser and you have to try once again. 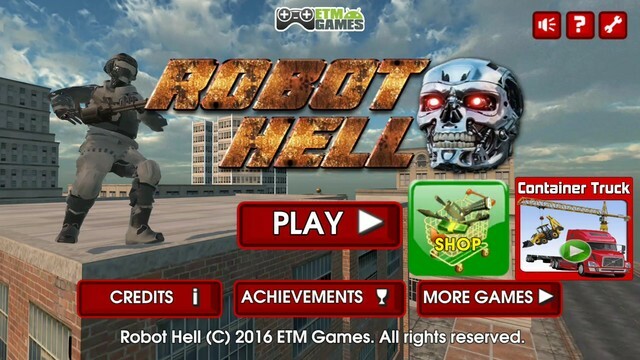 There are various achievement you will find while playing Robot hell shooting game and often check that out so that you know how well you playing the game and doing all the tasks. 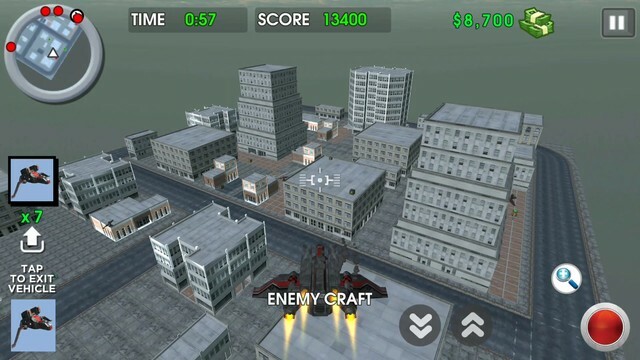 Here player can buy space ship, with gun, some weapon to kill robot enemies, enemy ships. Player can earn money and spend them on buying upgrades. * Beautifully updated graphics, character models and lighting effects. * Earn more cash and spend them. * Find the package and show all that you are a real hero. * Very easy to play. No Joysticks. Left side of screen for move forward, back, left, right. Right side of screen for Aim, turn right or left. You can use zoom button for better Aim. Don't pass crates. Shoot them. Pickup more powerful weapons, ammo, health and money. Are you crazy about Monkey Banana Bash? Download and install to feel the joy and experience. Monkey Banana Bash is a highly addictive fun game for android. 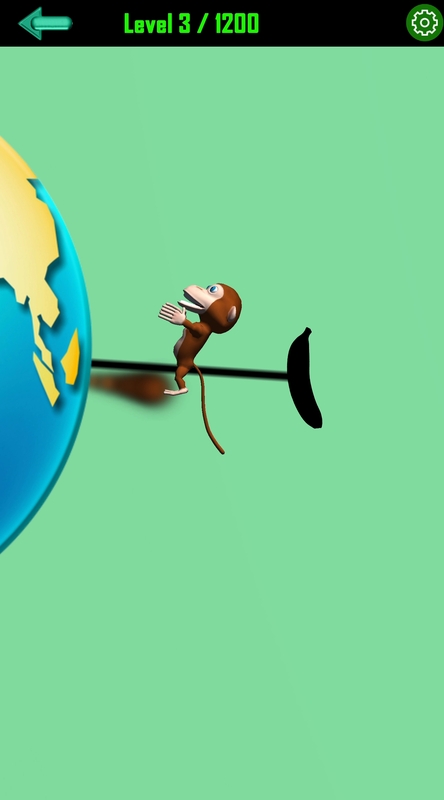 Run, jump, bounce and swing around the earth to help monkey eat bananas. Unlock all 1200 levels to become a winner. 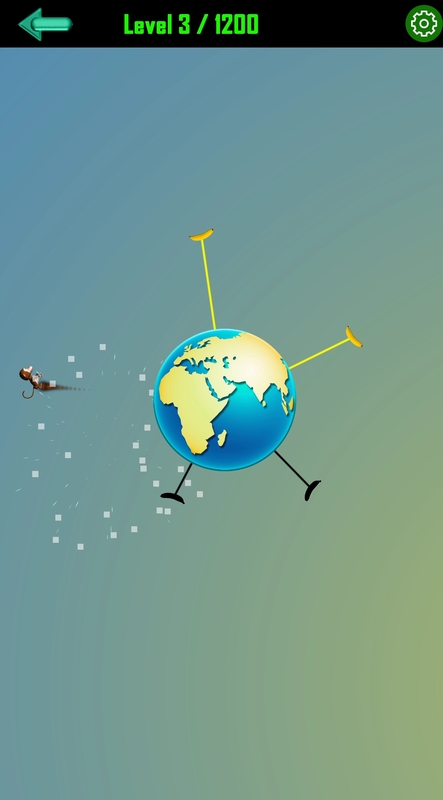 A highly dynamic game engine will provide endless fun in this never-ending run. Each session is a new challenge so get through the levels with your skills. Did you play "aa" game? Similar logic. 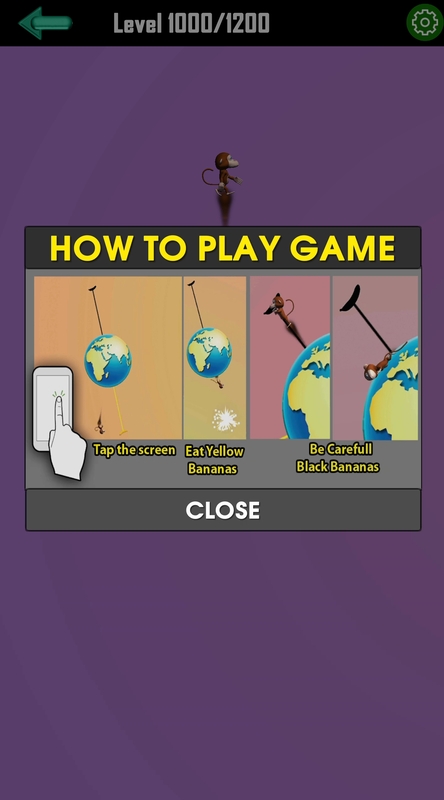 But wait; if you hit a black banana then you will lose a life. Think you can keep up and give your best to complete one level to enter the next one. Just when you think you have the control over the game, it changes yet again - faster or slower. Get bananas for this hungry monkey to gain scores, unlock new levels, and get bonus points and power ups. Play right now! - Smooth one-touch drag control for jumping to catch banana. 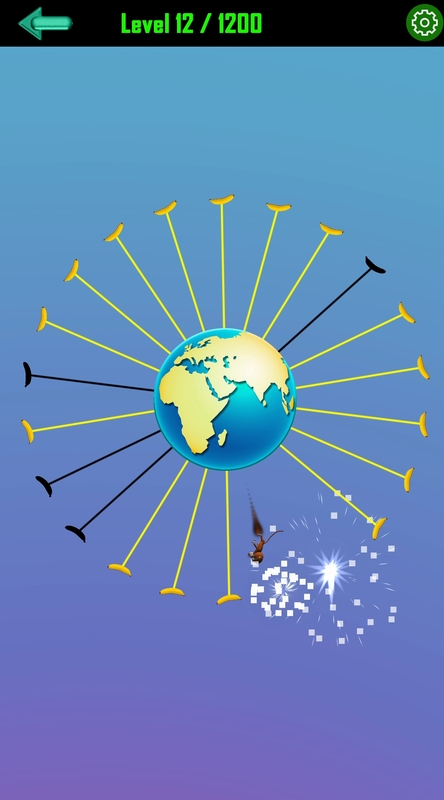 - Enjoy in never-ending free run. 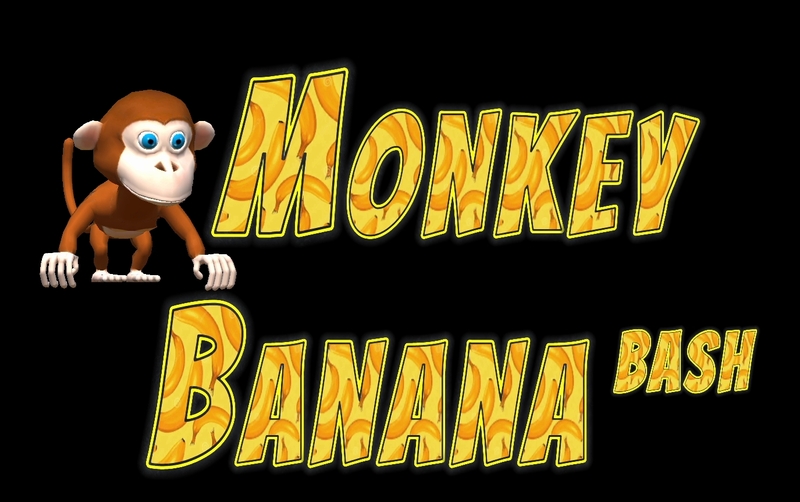 Monkey Banana Bash is easy and fun for all ages. Just pick up and play. Get a world of enjoyment each and every time you play Monkey Banana Bash game. Good luck! Welcome to the 2016. The Lozen is skilled warrior woman. She is able to use her powers in battle to learn the movements of the enemy. She is braver than most. * Earn money from rewarded videos. * Spent money for more powerful weapons. 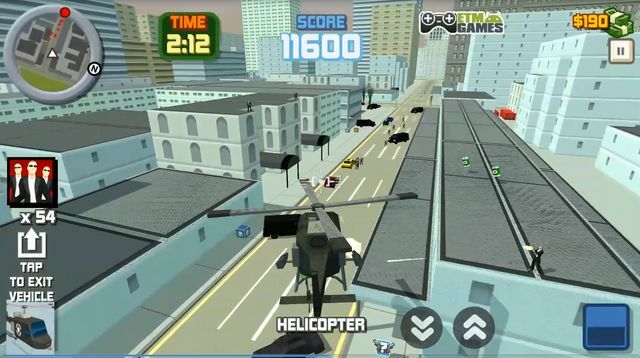 * Controllable Vehicles such as Apache Helicopter, Jet, SWAT Cars, Taxis, Tank to kill enemies. Android Phones: Motorola Atrix, Motorola Atrix HD, Motorola Atrix 4G, Motorola Photon, HTC Rezound, HTC One X, HTC One X+, Samsung Galaxy Nexus, Samsung Galaxy Note, Samsung Galaxy Note 2, Samsung Galaxy R, Samsung Epic 4G, Samsung Galaxy S2, Samsung Galaxy S3, HTC One M8, HTC One M9, Samsung Galaxy S6, Samsung Galaxy S6 Edge, Samsung Galaxy S7, Samsung Galaxy S7 Edge, Google Nexus 4, Sony Xperia Play, Sony Xperia Sola. 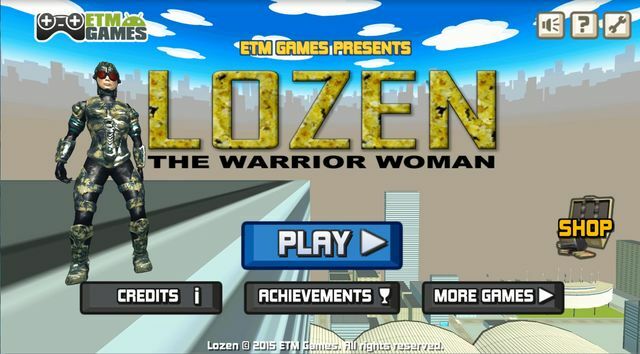 **Grand Theft Auto: Lozen Warrior Woman was developed and tested most android devices and working perfect. 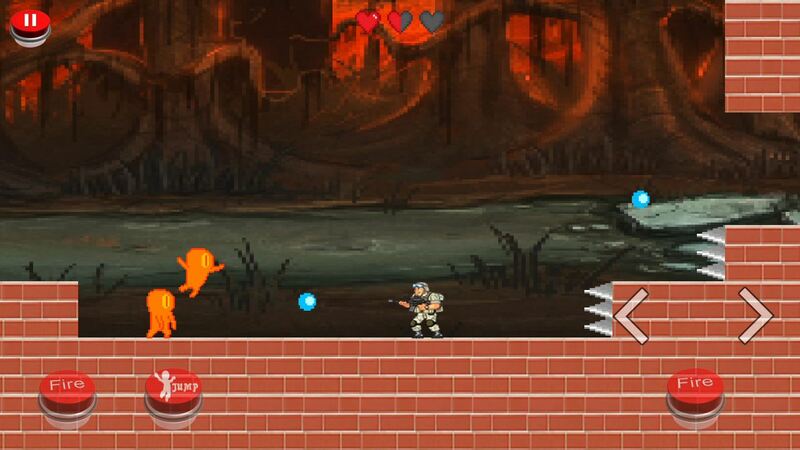 Are you crazy about playing this fun loving adventure game Jungle temple Safari? 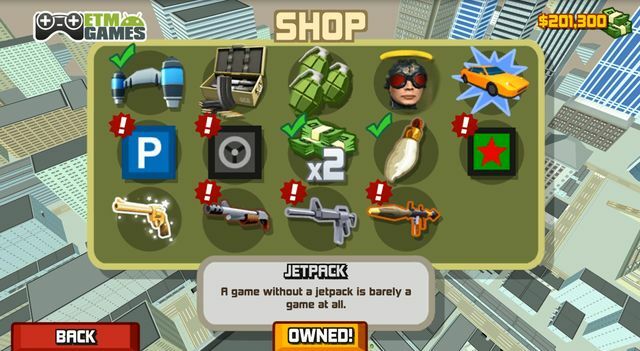 This 2d action pack game will make you joyful throughout the mission but in order to achieve your goal you have to play carefully and show skills to complete all the tasks. Get ready for the jungle hunting; deadly wild animals are waiting for you. Its safari time guys! Explore the jungle now. War is begun, take the challenge and aim perfectly to shoot most carnivore animals. 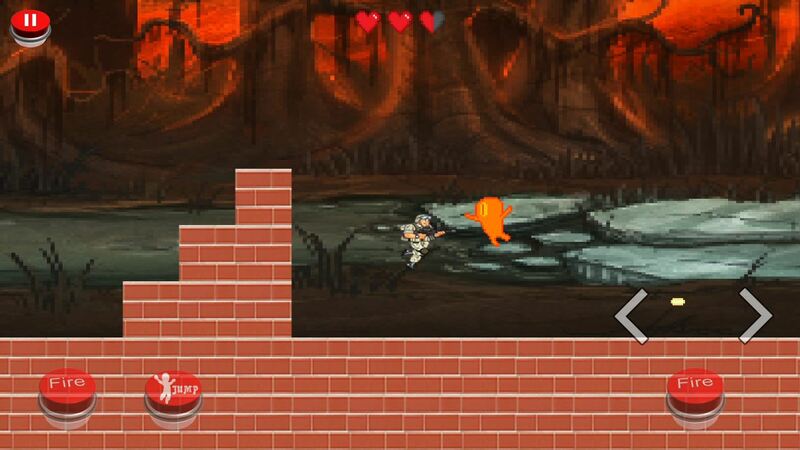 On the way there will be more barriers which you need to overcome by jumping or moving around. Your challenge as the safari hunter begins in this Jungle temple Safari game inside the mountains in a green jungle filled with wild animals. So don't waste any time and pick up your armory and show how perfect shooter/hunter you are. Show all of your hunting skills and enjoy ultimate adventure on your hunting mission. Don�t lose your stamina, keep playing. 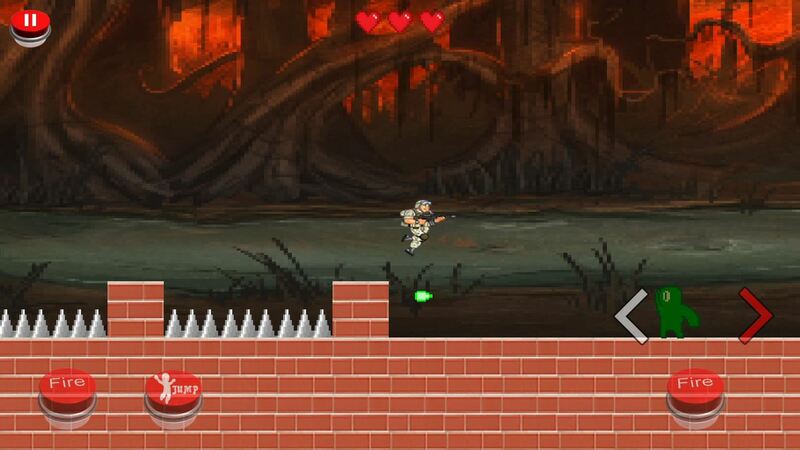 Defend yourself by making maximum shoots in jungle with your shooting gun. Best hunt will always glorify the hunter. 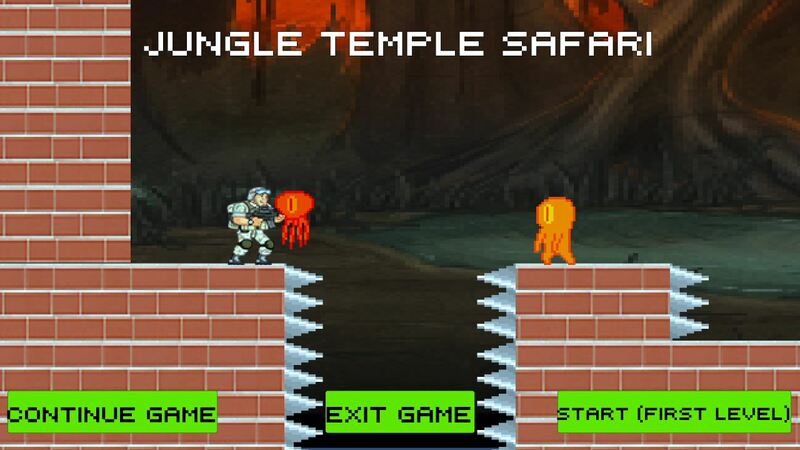 The most thrilling and extreme fun free 2d Jungle temple Safari game you ever played. 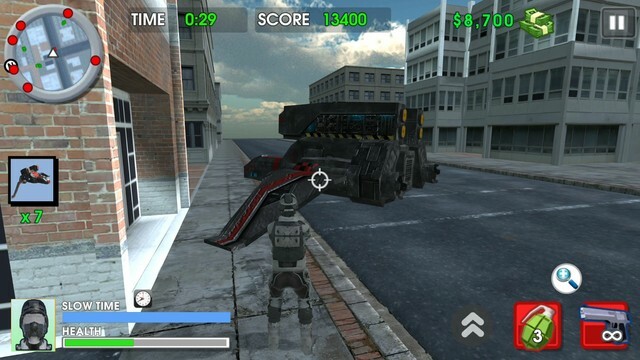 Are you looking for iPhone games and Android games for you mobile? Visit our website etmgames.com and Check out our new android games which are free to download. All content is well placed in different categories. Games are perfect for your tablet or phone. All Games Support Various Mobile phones: like Nokia, Samsung, Sony-Ericsson, LG, Motorola, Apple, HTC, BlackBerry. Download them right now! Check back often as we keep the list updated with the latest and greatest free mobile games for your phone! The colors, movement, and game-play have been researched and tested. Should you encounter any problems downloading or installing our Android games, please feel free to contact us and we will get back to you shortly. Enjoy and have fun with all our games and don't forget to give reviews and vote! © 2014, ETM GAMES. All rights reserved.